Hell hath no fury like a selkie separated from his true love. The gate to the sea creature realm is finally open. Yara wants to bask in the glow of her budding relationship with Treygan and explore Medusa’s world, but as the new leader of Rathe her powers are needed to save a sea creature she’s never met. Rownan assumes the worst is behind him when he returns home to be reunited with his wife, Vienna, only to discover she’s gone. She traveled to the evil realm of Harte to find another gateway to Earth and was never heard from again. Rownan claimed he would go through hell to be with her, and now he must prove it. Rownan, Yara, and Treygan will put their lives and souls at risk by traveling to the most dangerous realm of all. Love is supposed to conquer all, but no one has ever conquered Harte. 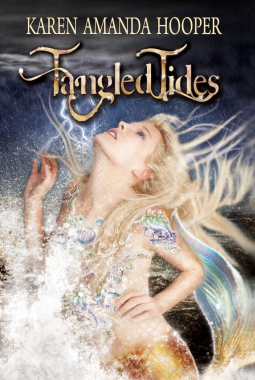 Let me start by saying that I absolutely loved the first book in this series Tangled Tides. There were times it seemed almost impossible to put down. In my opinion I guess you could say it was a pretty tough act to follow for the second book in the series. So going in it had it’s work cut out. But let me make clear that in no way am I saying this book wasn’t good because it was, it just wasn’t as awesome as the first. I guess I will start by telling you guys the many reasons why I enjoyed this book. To me this story tries and succeeds to relay to it’s readers a message that even the impossible can be accomplished with faith and love. It shows just how deep the ties that bind us to one another can run and just what some are willing to do for those they love. That you can literally make it through Hell as long as you have one another. It doesn’t hurt that it takes us on a journey through a magical type of hell filled with demon look alikes, krakens, and soul sucking sea creatures. It definitely keeps things interesting!! Also I loved the fact that this novel gave us more background on some of the other characters such as Nixie and the siren sisters. I came to really like Nixie in this part of the story. The author showed a side that we didn’t get to see of her in the first part and I am so glad she did! Now with that being said I think the one thing that I really didn’t like about this one was the way Yara was portrayed in some parts. From very early on I found myself not liking her as much as I had in Tangled Tides. I can’t really pin point the exact reasons behind feeling this way I just did. That was really the only thing that turned me off about this story. The portrayl of Rowan and Vienna’s everlasting love is the type of love we all hope to expierence one day and the friendship between Yara and Nixie shows us what true friendship is suppose to look like. Overall this was a very nice addition to The Sea Monster Memoirs and I can’t wait to continue the adventures with the beloved sea creatures of Rathe! 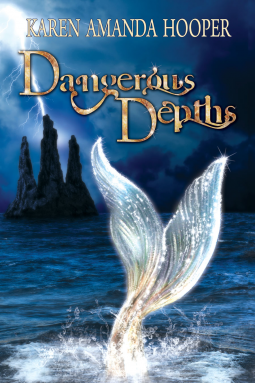 This is my first book that has to do with mermaids or any sea creatures for that matter but I have heard that books with this kind of theme tend to disappoint. Well I guess I got lucky then because I rather enjoyed this book. I will say that there were some instances in which I found myself a little confused because somehow the mers could be inside houses dry and with legs but be under water or so that’s what I thought or it could be the fact that just wasn’t paying close enough attention when the author explained that part. I really can’t be certain. Besides that though I thought the story flowed rather nicely and even though I had read a few other reviews where some people were complaining about one of the main characters, Yara, I found no fault in her and really rather liked her style as well as the personalities of most of the other main characters. It was a rather nice surprise to see a story in which there is not a love triangle. Yes there is another guy (Rownan) but it’s not what you may think at first. There is however SOMEWHAT of a Romeo and Juliet love story between Yara and Treygan but it works well to me. This book is one in which I find simple yet has an interesting enough story to keep you reading until the very end. It didn’t take me long at all to finish this one because I kept wanting to come back to it but let me admit that was partially due to the fact that it was an easy read so I knew I didn’t have to have complete quite time to be able to follow along and keep up. I could take it anywhere with me and read and no matter what was going on around me I could follow the plot. Some books are a little more complicated and require all of ones attention in order to understand what’s going on. This is a good choice for an uncomplicated quick read. Also it was refreshing to read about mythical beings that were not in any way related to the vampire, werewolf, angel theme that so many writers go to these days. I devoured it and enjoyed myself the entire time. I will definitely be trying more from this author.